It is kinda in vogue right now to blame blogging for the inability to write longer projects. It is completely true. The project I affectionately refer to as the "never going to die or it will dying during revisions and we will toss it" project is one reason my blogging has been down. You would know it as The Lord's Prayer: A Family Devotion. 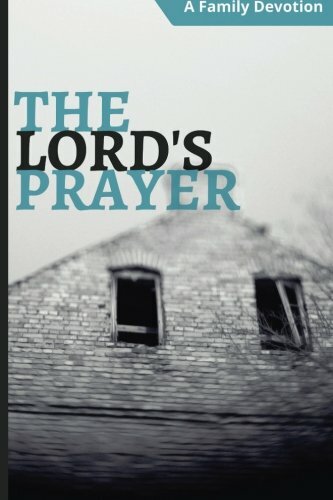 Way back in 2013, I decided to write family devotions for my local baptist church on The Lord's Prayer. I put a restriction on myself that the entire week had to fit on a page. It was meant for parents to read verbatim to children five years of age or younger. This meant writing a meditation that was somewhere around 140 words. Short and to the point. No big words. Two years later, Mathew Sims and I brainstormed how we could encourage home devotions and family worship. One suggestion we decided upon was Biblically oriented worship guides. With a sparse backbone of the work already done, I volunteered to finish the project off in a couple over the summer. Our hope is that The Lord's Prayer is merely the first in a series of family worship materials designed to help parents. Well, this project has finally hit the publish button. As of now it is available in MOBI format on Amazon. It will be available in paperback sometime next week. Just in time for you to buy a copy for each person on your Christmas list. The Lord's Prayer contains eight weeks of meditations. Five meditations for each week. Each week focuses on a new part of the Lord's Prayer. Each day a new emphasis is brought out without losing the general theme of the week. Mathew and I hope this encourages you and your family to more consistent family worship. Even if after reading the material you decide to refer to it by its code name — the "never going to die or it will dying during revisions and we will toss it" project.